Folks at BikeAdvice.in has cracked some important information about the upcoming Bajaj Pulsar 150NS. 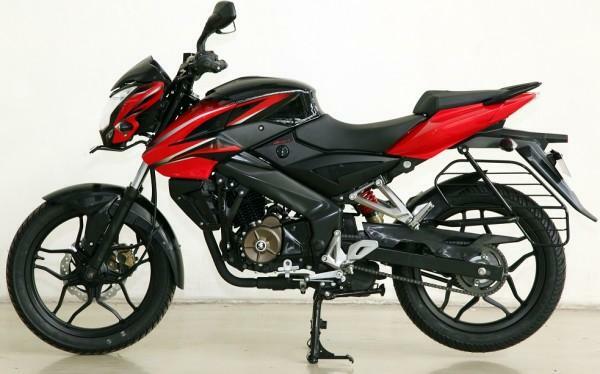 The bike is not officially available anywhere in India – still the specifications of New Bajaj Pulsar 150NS is leaked by some unknown sources which was in turn caught by BikeAdvice.in. Below is the image which contains the leaked specifications. From the image what we can make out is the next generation Bajaj Pulsar 150NS carries a 4-valve 1 cylinder 149.5cc engine which yields around 17PS of power – this is highest power output among all the 150cc bike segment( excluding the premium 150ccs ). The specification details of Pulsar NS150 almost is head to head with Yamaha R15! Torque of Pulsar NS150 is quietly low ticking around 13Nm @ 7500 RPM. If you compare the existing Bajaj Pulsar with the new generation 150NS, the existing Bajaj Pulsar 150cc gives almost 15.06ps of power and a torque of 12.5Nm. Some changes which we can notice in Bajaj Pulsar 150NS is the reduced petrol tank capacity – that is 12 litres, which the existing Pulsar 150 has a tank capacity of 15 litres. 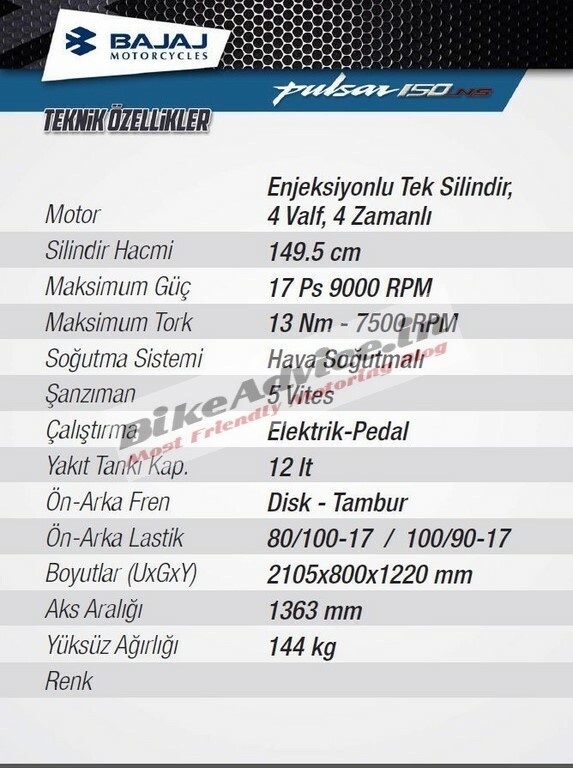 There is no mention of rear disc brakes in the leaked specifications. Also read: Bajaj Pulsar 200 SS price to be cheaper than Yamaha R15?